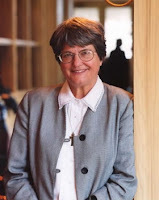 Texas Moratorium Network is having a drawing for someone to win a phone call from Sister Helen Prejean, author of “Dead Man Walking” and one of the world’s leading advocates for abolishing the death penalty. Invite your friends to become a fan of the Texas Moratorium Network Facebook page and to enter the drawing, which will be held on December 15. It is free to enter. The second place prize is a signed copy of the book “Mortal Justice: A True Story of Murder and Vindication” by Jeanette Popp and Wanda Evans, which tells the story of Jeanette’s daughter Nancy’s murder, the wrongful conviction of two innocent men Chris Ochoa and Richard Danziger, their eventual exoneration, the subsequent conviction of the real killer, and Jeanette’s long activism against the death penalty, including a jailhouse meeting with the real killer and her successful efforts to prevent him from being sentenced to death.